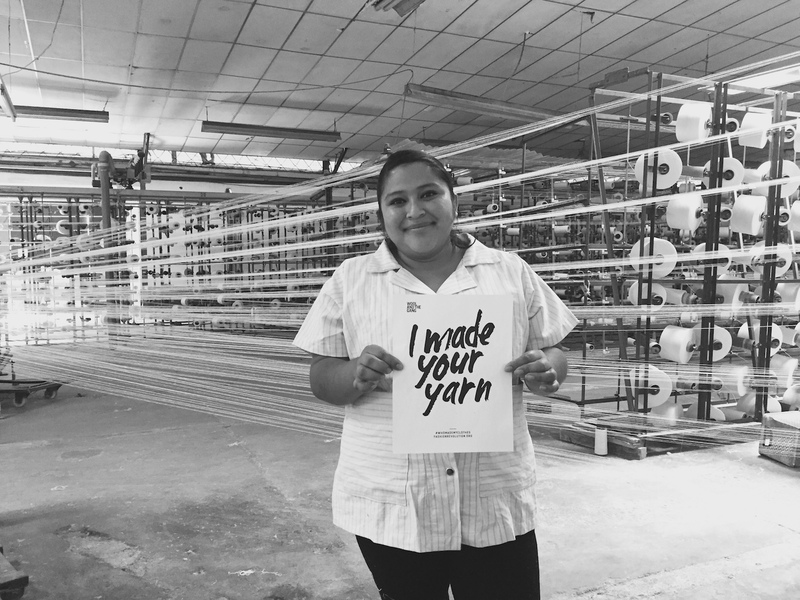 There is a story behind our yarn to tell, and for Fashion Revolution Week, we’re lifting up the curtains to unravel the story behind our Bille Jean Yarn. We hope that we’re helping you make your own clothes with our kits and how-tos. Whether you’re a beginner knitter or you’ve got serious skills, you can wear something that’s been made unique with love. When it comes to our yarn, we put time and effort into finding sustainable ways to produce high-quality fibres. Not only do we want to be open about where our yarn comes from and how it was made, we’re actually excited to share these stories with you – just take a look at our blog posts about Heal the Wool and Jersey Be Good to name a few. Today, we wanted to take a closer look at who exactly has been making one of your favourite yarns, Billie Jean. The team at The New Denim Project behind Billie Jean yarn. We developed Billie Jean in collaboration with The New Denim Project, a textile group in Guatemala promoting conscious consumption and investment in sustainable materials. In denim production, there’s usually a ton of waste. Instead of letting those scraps head straight for the landfill, they’ve been gathered, ground back into fibres, and respun it into yarn! The process is chemical-free, dye-free and saves on both water and energy. Follow The New Denim Project on Instagram @TheNewDenimProject. 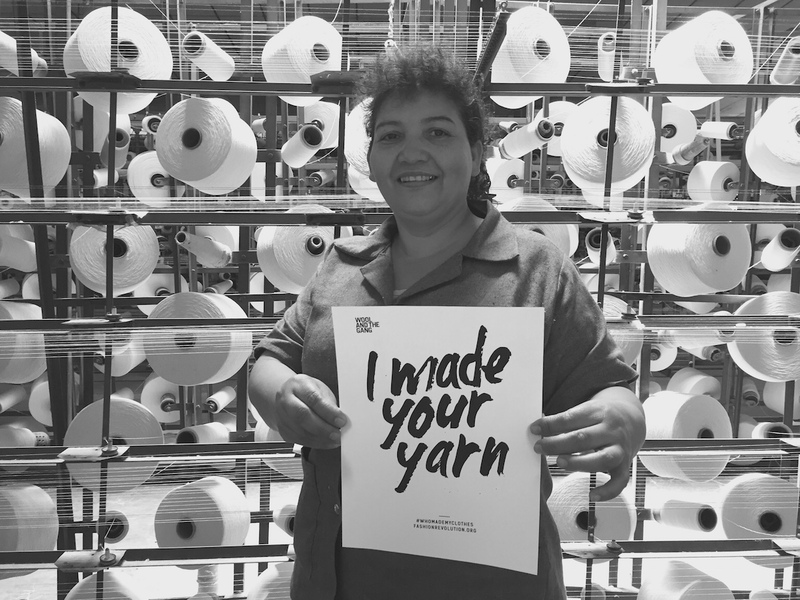 As you can see, a whole team of textile workers are behind making sustainable yarns like Billie Jean. 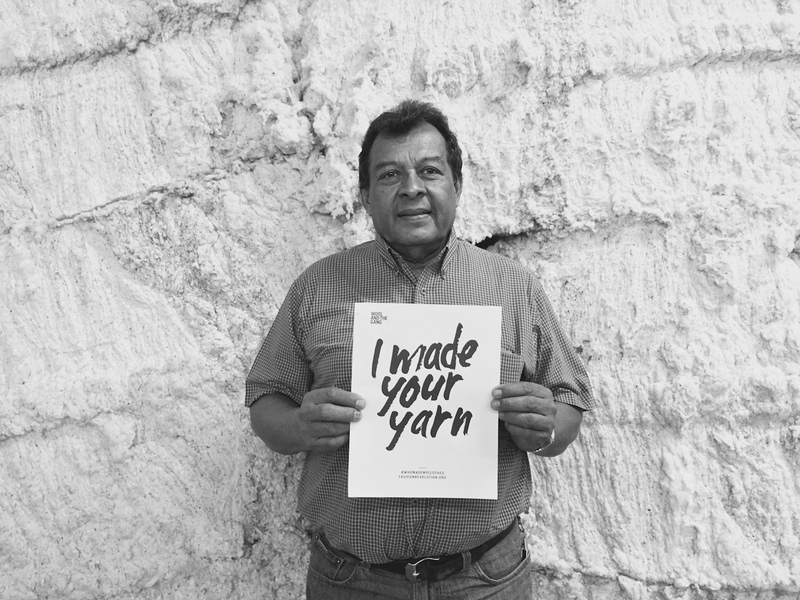 In honour of Fashion Revolution Week, we’re sharing the amazing Anibal Chavez’s story with you! Anibal Chavez from The New Denim Project. Anibal is 64 years old. He studied Mechanical Engineering for two years at a University in Guatemala and is now the head of the spinning facility, where he’s been working for 25 years. He’s got an eye for reusing short fibres and upcycling these pieces into fine and premium yarns. Anibal has been happily married to his wife, Mirna Liseth for 33 years. They have 3 amazing children, Jeffrey, Christian and Astrid: a filmmaker, engineer and teacher, respectively. A lover of futbol and woodworking enthusiast – Anibal is a self-taught carpenter, even creating furniture for his own home. His dream is to have a woodworking workshop one day. Anibal is not only a brilliant mind, but also has the kindest heart. He works and lives with passion, patience and love. By making your own clothes and caring about where your fibres are from – you’re changing the fashion industry little by little – Hi-five! Are you thinking about your clothes a little differently since learning about Fashion Revolution Week? If so, let us know below.